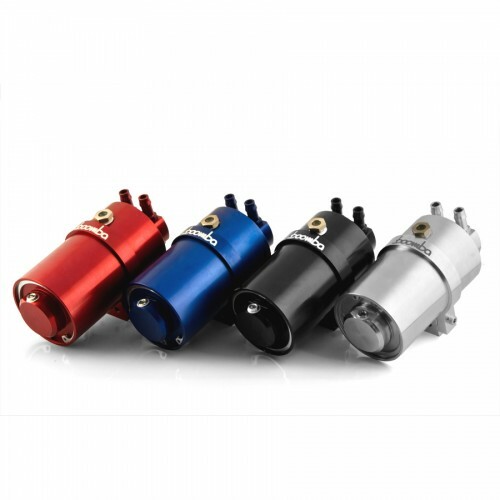 "These beautifully machined pieces of billet aluminum are crucial in any direct injected car. They work to collect oil and moisture passing through your vacuum system and to prevent it from entering back into your intake where it would collect on the back of the intake valves and gunk up the inside of your engine, causing carbon build-up. 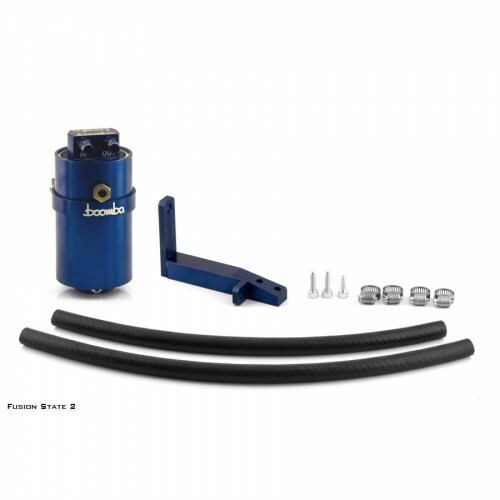 The Boomba Racing Catch Can is meant to be easy to install, and easy to service. With a mounting bracket that makes it quick and easy to remove, draining this catch can is super convenient. 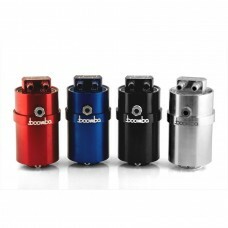 This catch can utilizes a two stage outlet to ensure that the oil within the vapor going through the can is trapped. 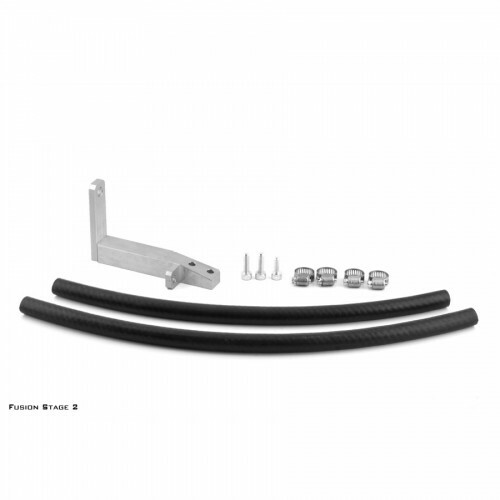 This stage 2 kit for your Fusion (2.0 only) is to be used on the PCV vacuum system. 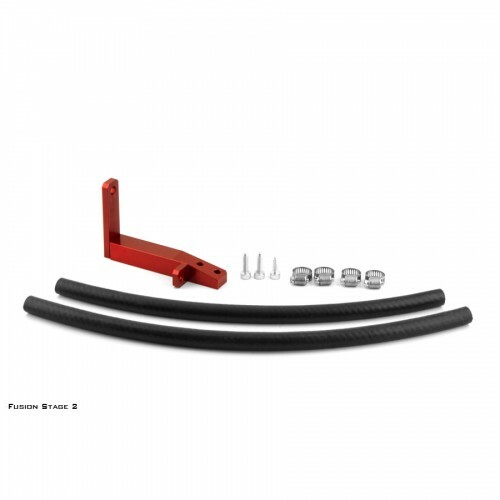 The kit comes with everything you need for easy installation. A Sound Symposer delete is highly recommended with the use of this can. 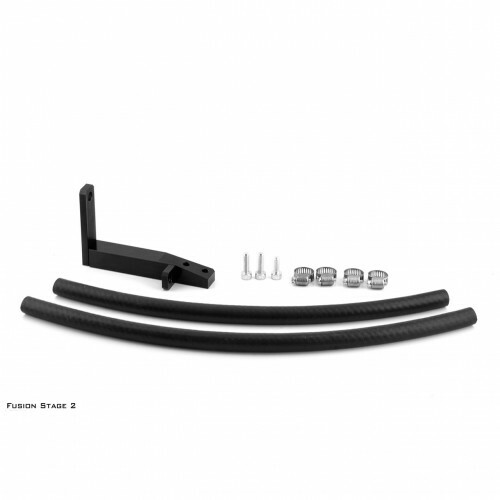 -Comes with a bracket that helps to make it easier to mount on your specific project"